Papercast reveals two-thirds of the public transport market is either piloting new digital signage technologies or plan to in the next two years – 48% of those will choose e-paper, compared to LED and LCD both at 26 percent. 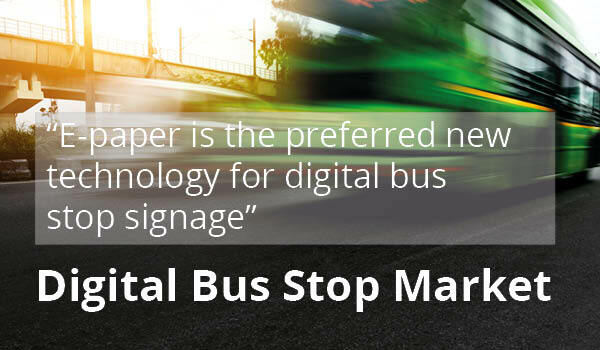 Papercast, the leader in e-paper passenger information signage, today announced the findings of a survey exploring the current and future state of the digital bus stop technology market. The results reveal that 8 out of 10 survey respondents have very active passenger information strategies and when it comes to providing real-time information at the bus stop, e-paper is emerging as the technology of choice. 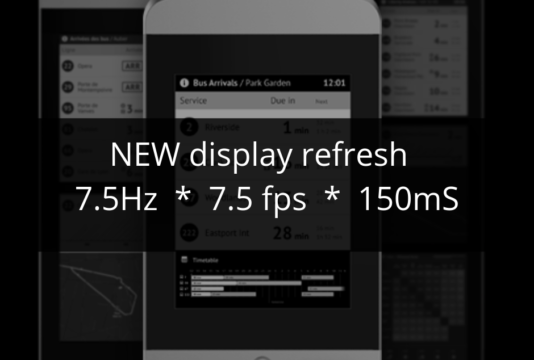 While 7 in 10 already operate digital bus stops, the market is still in its relative infancy. When asked what percentage of the bus stop network shows live passenger information, 80% state that under a quarter of their bus stops have digital displays of some kind. Only 12% have digital signage on more than half of their network. In terms of existing technology, LED and LCD currently dominates with 8 out of 10 respondents stating that they use one of these technologies. 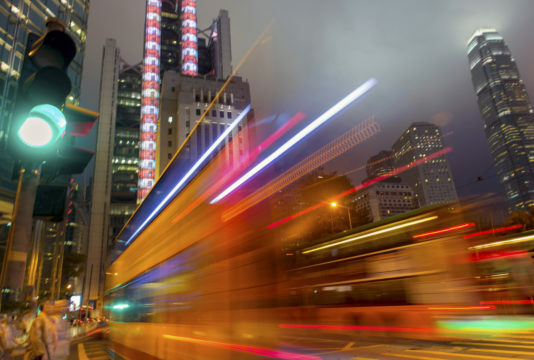 Looking to the future, two-thirds are piloting new technologies or plan to in the next 2 years, and 75% of these already operate digital bus stops and are exploring alternative or additional technologies. Nearly half will choose e-paper, compared to LED and LCD both at 26 percent. “The findings show that there is a shift taking place in the market, and our experience confirms this,” comments Robert Bicket, CEO of Papercast. “While LED and LCD are well established with widespread usage, transport authorities and service operators are looking at other technologies to either replace or supplement these, perhaps where specific needs are not currently being met”. 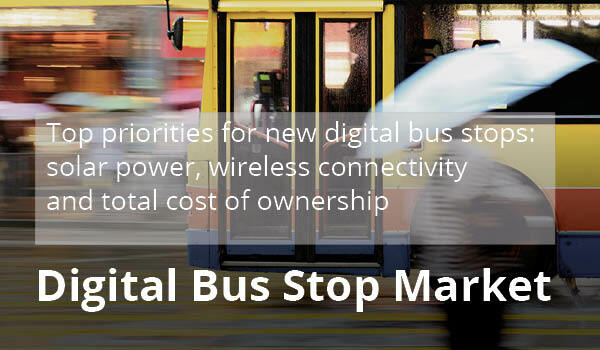 When asked to specify the top three priorities for selecting a new digital bus stop technology, solar powered and wireless connectivity were both highlighted by more than half, followed by total cost of ownership. Other criteria include easy installation, flexibility, scalability and longevity. “One of the biggest takeaways from this survey is how e-paper technology is perfectly placed for meeting the future needs of the bus transport market,” adds Robert. “Not only does it meet all the top priorities for selecting a technology, but it can be implemented quickly without grid power, meaning operators can quickly see a return on their investment”. Around two-thirds are providing real-time information to passengers by desktop and mobile website, smart phone apps and bus stations/hubs, and these will continue to have focus over the next 12 months. 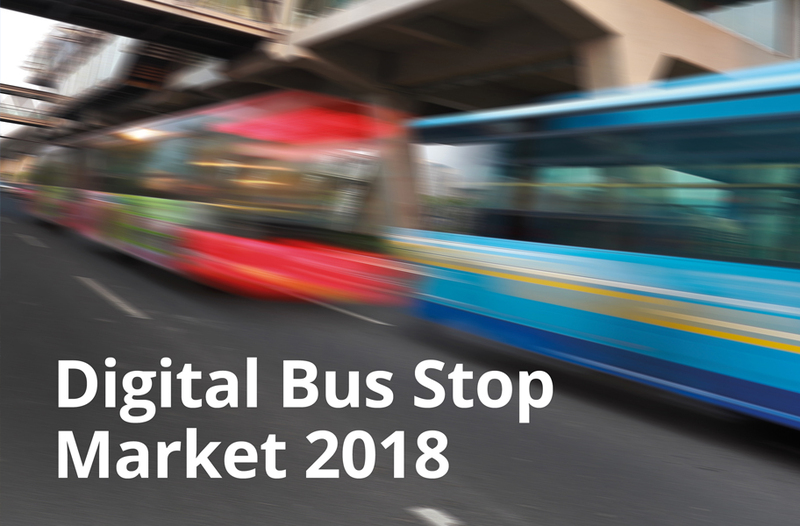 Digital bus stops and on-board buses are lagging but there are plans for increased investment here. 95% have some form of real-time data API available, with GTFS being the most common, followed by SIRI and GTFS RT. It is fair to conclude that the vast majority of bus stops do not have grid power available, 14% benefit from grid power at more than half of their bus stops, and 39% have power at less than 5% of stops on their network. When asked what information other than bus arrivals, schedules and routes would be shown at the bus stop, recipients stated: services changes, emergency and disaster alerts; community related information such as weather, news and events; and advertising. The research also explored return on investment, find out more in this blog. Download the report or check out the infographic.